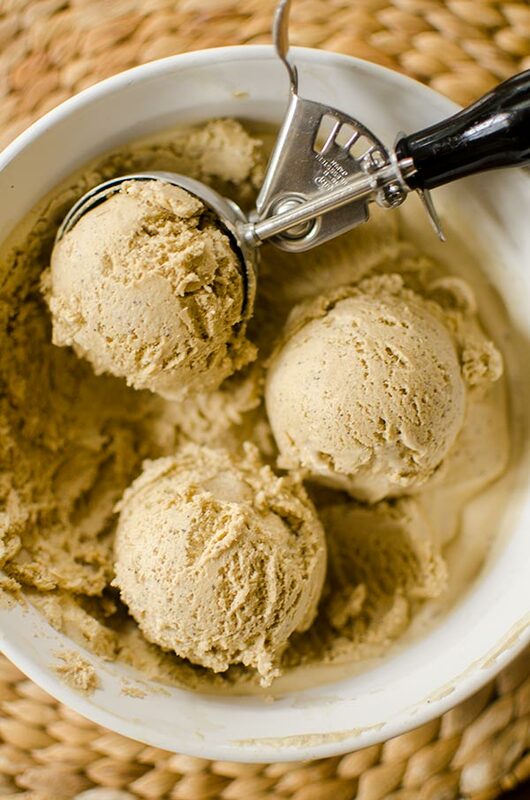 This custard-based homemade coffee ice cream is the ultimate summer dessert recipe. This post has been sponsored by the Egg Farmers of Canada. Plus learn how you can enter for a chance to win free eggs for a year by simply checking out EggcentricTV, details below! I’ve been making homemade ice cream for years. It was one of the first appliances I ever got because it’s one of my absolute favourite foods. The truth is, ice cream is definitely more of an indulgent dessert (you’ll understand why when you get to the recipe), but in my opinion, there is nothing better on a hot day. The best ice creams always start with a custard base–that’s a mixture of egg yolks, cream, milk and sugar. This is what gives ice cream that rich and creamy mouthfeel. 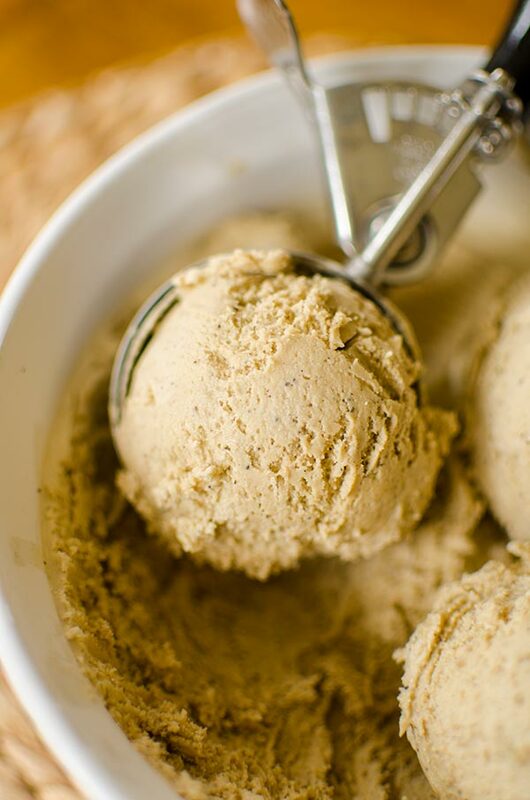 Don’t skimp on any of the ingredients here, you need to go all out when you’re making homemade ice cream. I’m a total coffee junkie, so it was only natural that this was the flavour I wanted to develop for the summer. 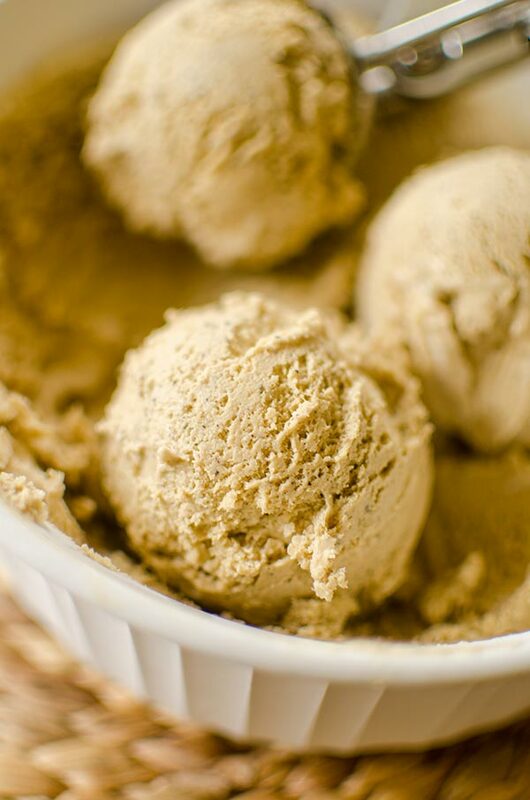 For this recipe, I’ve used ground coffee because I like the texture it adds to the ice cream, plus when you strain the custard, most of the coffee bits are strained out. This way you get a little extra flavour and texture without an overwhelming amount of ground coffee. Now for the contest! For your chance to win free eggs for a year (see full contest rules here) answer the following question: What was the first flavour of ice cream I ever made? In a medium heavy-bottomed pot, whisk eggs with cream, milk, sugar, ground coffee and salt to a low boil over medium-low heat. Cook until mixture has thickened enough to coat the back of a spoon. Place a spoon in the mixture. Remove it and run your finger through the middle of the custard. If a clear path is left on the spoon, the mixture is ready. Carefully strain the mixture, do not press through the sieve as this will add too many of the coffee grounds to the mixture. Cool to room temperature, stirring occasionally. Chill, covered, until cold, at least 1 hour.